Why else did the CA DMV bring them back? This design is cherished by classic car enthusiasts as they are synonymous with rust free and original classic cars in all makes and models. 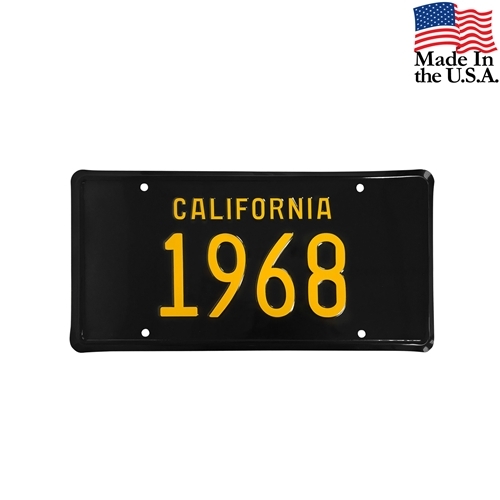 This license plate is real stamped aluminum with raised numbers and letters not simply silkscreened like others. Perfect for display in the man cave, garage or a car show.